Pacific Island leaders are likely to assert their interests at the expense of Australia’s at this week’s Pacific Islands Forum. The theme of this week’s Pacific Islands Forum in Nauru is “Building a Strong Pacific: Our People, Our Islands, Our Will.” The major outcome expected from the Forum is a declaration known as Biketawa Plus. It is intended to build on the Biketawa Declaration, agreed in October 2000, that provided a framework for the countries of the region to take collective action to help member states respond to internal crises. It was invoked to facilitate the Regional Assistance Mission to Solomon Islands in 2003. The discussion in Nauru is likely to further expose the chasm that exists between Australian and Pacific Island leaders’ regional security priorities. When the Australian government talks about security in the region, ministers and officials focus on maritime surveillance, police cooperation/capacity building, border security, cyber security and coordination on addressing transnational crime: issues that are integral to Australia’s “step-up in engagement with the Pacific.” Australian politicians and officials worry about combating a strategic threat from China in the region. 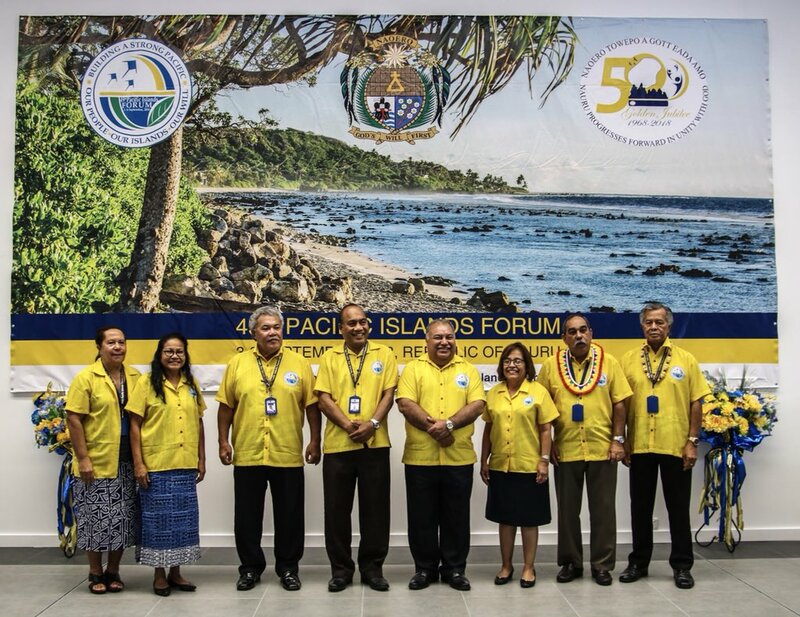 When Pacific Island leaders talk about security, they focus on mitigating the impact of climate change on their people’s land and on food security, on improving resilience to ever-increasing natural disasters and on bettering the health of their populations. Forum Leaders last year determined that the concept of regional security should be expanded to be “inclusive of human security, humanitarian assistance, prioritising environmental security and building resilience to impacts of natural disasters and climate change.” They prioritised action on climate change, disaster risk management, fisheries, oceans management and conservation. The timing and the focus of leaders at the Forum present some awkward challenges for the region’s dominant power, Australia. New Prime Minister Scott Morrison will not attend and Australia will be represented by its new Minister for Foreign Affairs Marise Payne. Being in Nauru this week is publicity Morrison does not need. As the architect of some of the harsher aspects of the policy that sees hundreds of refugees languishing in Nauru, the Prime Minister is unlikely to welcome the press attention that will inevitably be drawn to what is happening there, particularly the suffering of young children. 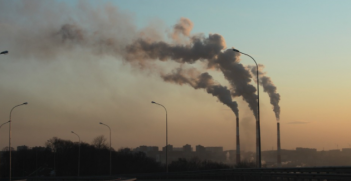 Pacific leaders including Fiji’s Prime Minister Frank Bainimarama and the Marshall Islands’ President Hilda Heine are already calling on Morrison to do more to address climate change and honour Paris Agreement commitments to reduce carbon emissions. The outgoing Forum chair, Samoan Prime Minister Tuileapa Sailele Malielegaoi, all but labelled him and other Australian ministers “utterly stupid” in thinly-veiled criticism of politicians who don’t believe in climate change in a response to a question after his speech to the Lowy Institute last week. Australia’s governing party has been so paralysed by the issue of climate change that Morrison would not be able to tell his Pacific Island counterparts what Australia’s policy on emissions reduction might be under his leadership, let alone commit to any further action. His Minister for Energy Angus Taylor opposes investment in renewable energy and prioritises cutting electricity prices ahead of cutting emissions. There is active consideration being given within government circles to withdrawing from the Paris Agreement. Marise Payne does not have the longevity of tenure and the same familiarity and friendly relationships with Pacific Island leaders and ministers that Julie Bishop enjoyed. But she has the advantage of a longstanding interest in the Pacific and recent experience interacting with regional counterparts as Minister for Defence. Payne has a much more empathetic approach to the concerns of Pacific Island leaders than most of her cabinet colleagues. She will have the respect of leaders in Nauru but Canberra’s extraordinarily poor credentials on the pre-eminent concern of the Pacific – climate change – will not make it easy for her to convince them to recognise Australia’s hard strategic priorities and concerns about China. For much of this year, Canberra has been openly panicked about the rise of Chinese influence in the Pacific Islands. Although media reporting of China’s plans to establish a military base in Vanuatu has been denied by the Vanuatu government, speculation and debate about China’s growing power in a region Australia considers its responsibility have abounded. The most recent fear is that China is seeking to position a military base on Manus in Papua New Guinea. Even though Australia remains by far the largest aid donor, investor and trading partner in the Pacific Islands region, anxiety about China’s interests threatening Australia’s dominance have led to defensive actions in Canberra. The prime ministers of Vanuatu, Solomon Islands and Papua New Guinea were all invited to Australia in a rushed show of friendship. 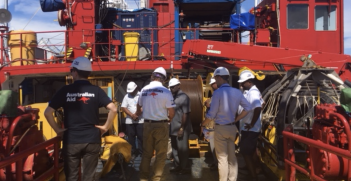 The Australian government will build undersea internet cables between Australia and Solomon Islands and between Australia and Papua New Guinea to ensure that Chinese telecoms giant Huawei is not involved. Australia has signed bilateral security agreements with Solomon Islands, Nauru and Tuvalu and is negotiating an agreement with Vanuatu. 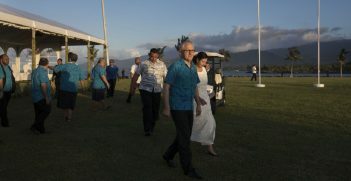 Canberra has been pressuring the British, French and US governments to expand their presence in the Pacific Islands region as a means of countering Chinese influence. Australian ministers have expressed concerns about Chinese loans creating debt traps for Pacific Island governments. Most Pacific Island leaders disagree with this assessment. Some are resentful that the Australian government does not respect their capacity to determine their national interest and the value to their populations and their economies of investment in desperately-needed infrastructure. Most are frustrated that Australia still does not recognise that the real threat to regional security and economic stability is not China but climate change. The Forum in Nauru will not be the first where the priorities of Australia diverge from those of Pacific Island nations and even New Zealand. But it may be the first where Pacific Island leaders feel confident they have the leverage to assert their interests at the expense of Australia’s. It will be difficult for Australia but this new dynamic could result in a more realistic outcome and achievable policy framework for the Forum. Jenny Hayward-Jones is a Lowy Institute non-resident fellow and former director of the Melanesia Program at the Lowy Institute. She was an officer in the Department of Foreign Affairs and Trade for 13 years, serving in the Australian missions in Vanuatu and Turkey. Australia is stepping up its engagement with the Pacific through a focus on reinvigorated economic partnerships, enhanced security and stronger diplomatic relationships.